Wherever I travel, I always spare my time to visit a museum or two. If the city where I’m visiting is a museum capital, then I’d try to look for its museum pass that I could purchase prior to departure. Istanbul has a lot of museums to visit and the tourism board, realizing the the city’s potential, offers museum pass cards for tourists who plan to visit more than two museums. I personally recommend you to buy museum pass card if museums are on your visiting list, here are 4 reasons why. One individual ticket to Hagia Sophia costs you 40 TL (EUR 10.50 or USD 11) and the same price goes to Topkapi Palace. So both of them already cost you 80 TL if you purchase individual tickets. For other museums, the entrance fee vary from 20 TL to 40 TL. Istanbul Museum Pass card only costs you 85 TL and you will get more museums and other interesting places to visit within 5 days. The card is activated on the first scan of your visit to one of the listed museums valid with this pass. Hagia Sophia, Topkapi Palace, Istanbul Archaeological Museum, Museum of Turkish and Islamic Arts, Istanbul Mosaic Museum, Chora Museum, Galata Mevlevi House, Rumeli Hisar Museum, and Museum for the History of Science and Technology in Islam. This is the very much appreciated benefit that I appreciate the most from the museum pass. Not that I don’t like to wait in line, but all the museums on the day I was visiting were packed with school tour (children everywhere!) and tourists from all over the world. This might be because it was the weekend, but main tourist attractions like Hagia Sophia, Blue Mosque and Topkapi Palace are generally crowded even in the weekdays. You will also get special discounts at other private museums, shuttle buses, restaurant and cafe, and even Istanbul cooking school! How cool is that! I got a 30% discount for entrance ticket to Museum of Innocence. The original fee is 30 TL and I only paid for 21 TL after showing them my Museum Pass. 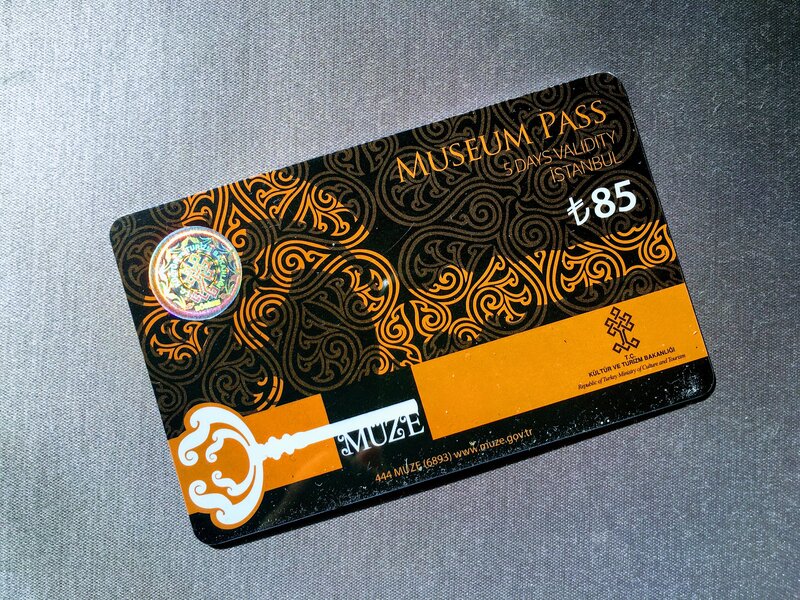 For more details on benefits that you can get with this museum pass, you can check it out here. How to buy the museum pass?